Not that “it” was ever supposed to happen, but “it” happened once a couple of years ago and I thought we had everything worked-out so that “it” wouldn’t happen again. I was in the close-knit, adorable community of Ovando during their annual Christmas-Fest which is held over the Thanksgiving weekend. In the Hoosgow of Ovando selling and signing books, enjoying Christmasfest! 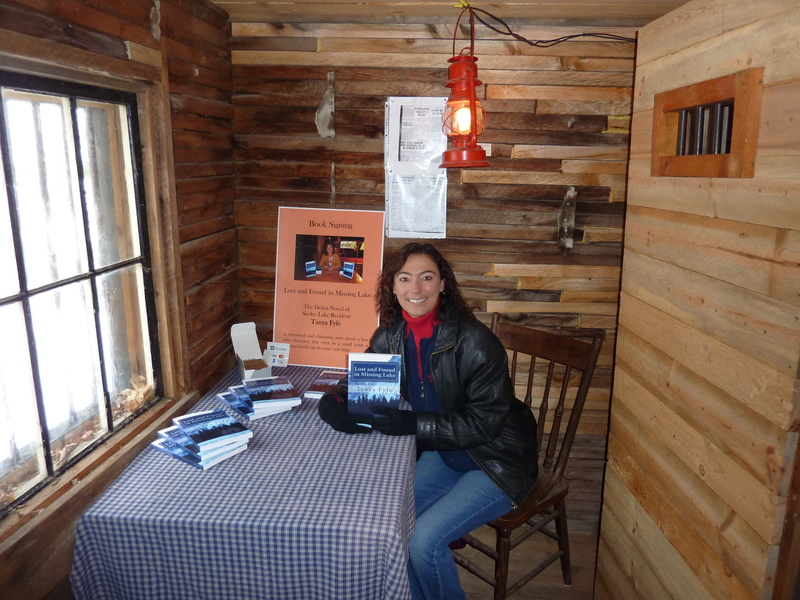 I was selling and signing Lost and Found in Missing Lake, my debut novel. 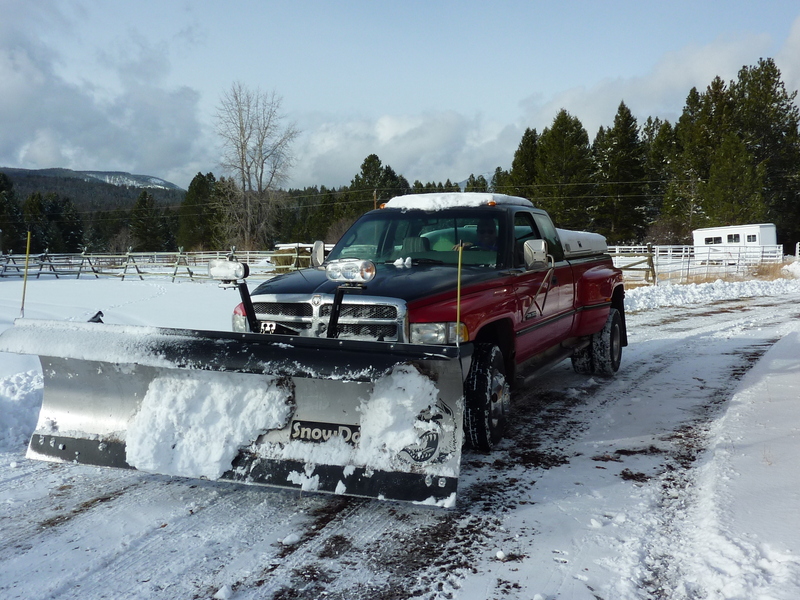 Ovando is one of those towns or communities that has a lot of history but not a lot of tourism. There are less than 200 full time residents (the head count includes dogs) but there is a wealth of uniqueness in this quirky town. Like the Hoosgow, or jail, where I sold and signed books. 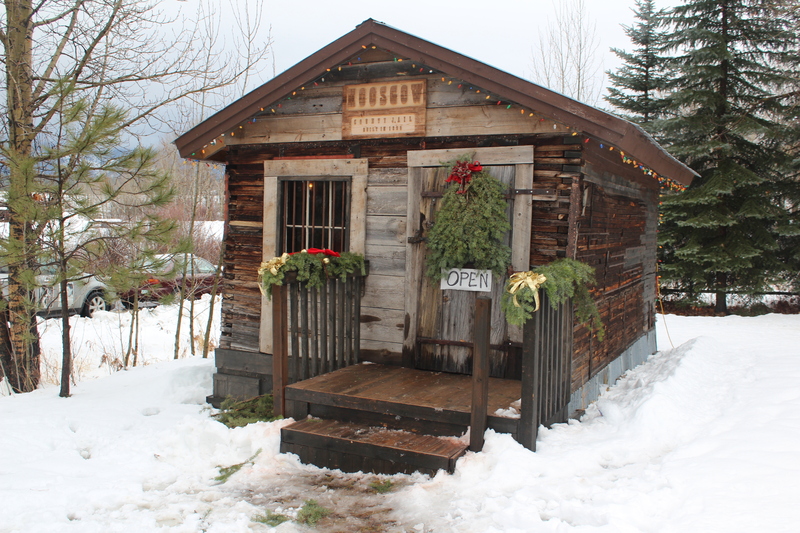 You can actually bunk in the Hoosgow and local kids often do. Here it is decorated for the holidays! My good friend, Jessi sold Walking Tacos (brilliant idea, I might add… chili and all the fixin’s tossed into a hand-held bag of nacho or taco chips) in the back and we listened to Christmas carols and laughed about the old days when she worked at my veterinary clinic and people came and people visited and some stood in line to talk with me and her hubby was home before being deployed and my hubby joined me for lunch and it was cold but we had heaters and I sold a few books! 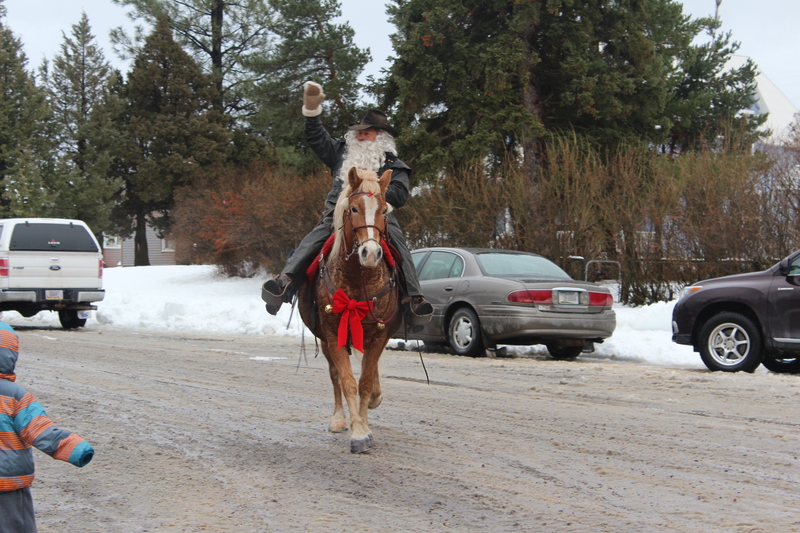 And Cowboy Claus arrived on his slightly cantankerous pony who pawed the ground and rubbed half of his holiday gear off when Claus was giving out goodies to the kids in the museum next door. And there were gun fights all day between a group of locals who got more and more animated the more Bailey’s or whiskey they drank. In all, it was a fun way to spend a few hours on a Friday. But that’s when “it” was going down at home. 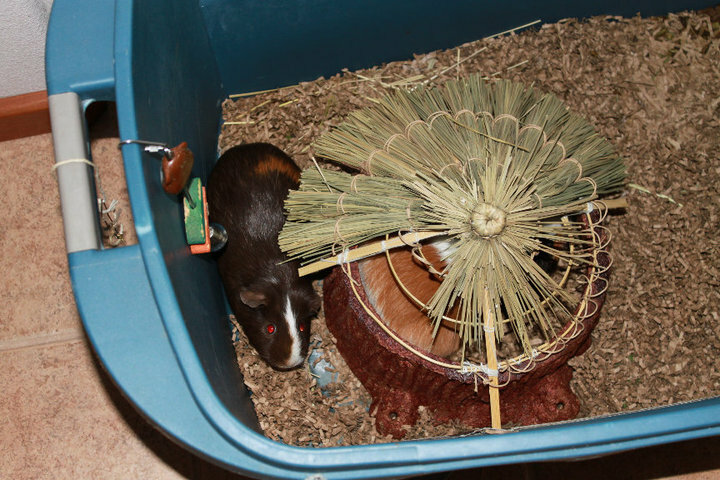 I will state for the record that we had never anticipated being guinea pig caretakers. Cats, horses, dogs, ferrets, maybe sheep and chickens but guinea pigs? I didn’t know much about them other than a few things I remembered from vet school and Alistair had raised hamsters as a kid but they are a very different little animal. 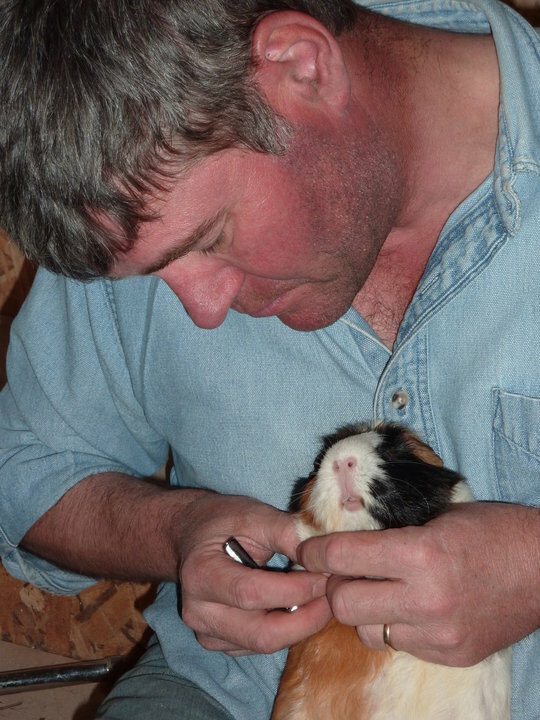 The local EMS crew had brought a plump, tri-colored guinea pig and a black-eyed, white ferret to my clinic one afternoon in 2010 saying they needed a home. They had responded to a call for a non-responsive woman and when they lifted her they found the piggy. So Tres (the piggy) and Jacques (named after Jacques Cousteau for all of his adventures we were sure our little fella must have had) became Fyfes. 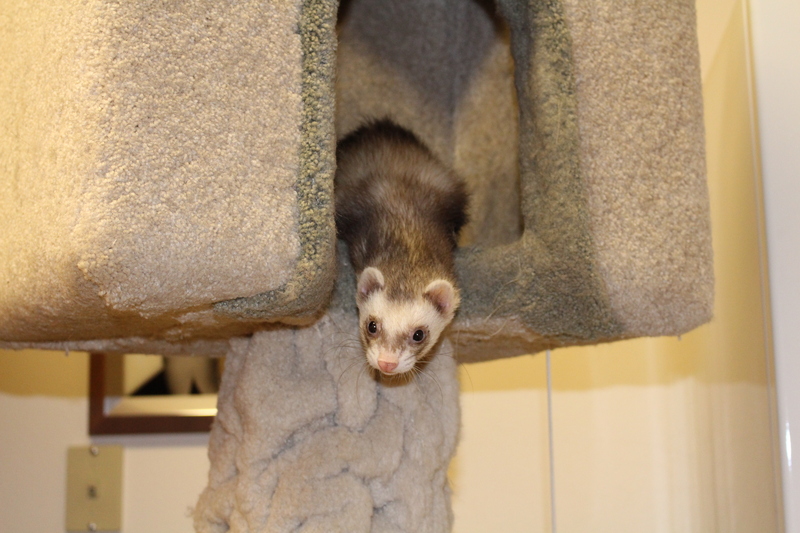 We’d had ferrets before and still had our original cage but we needed to rig something up for Tres. A veterinary classmate got me up to speed on nutrition and I read that the little creatures should have companions. The 2 piggies bonded and things were great! 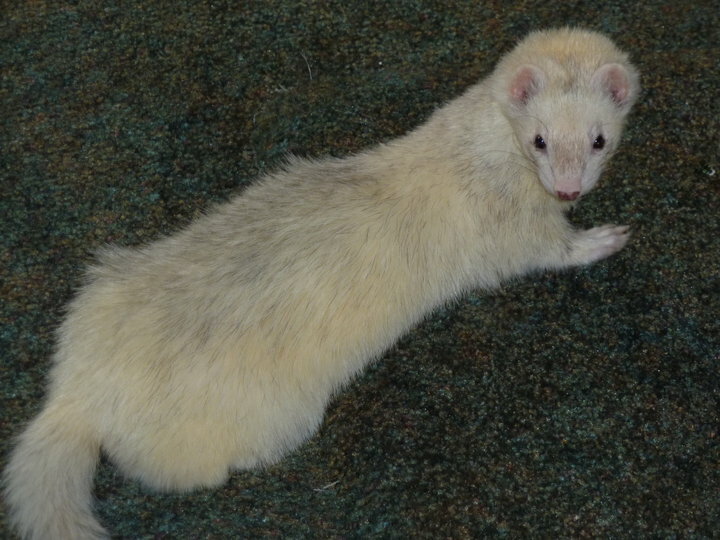 We got a sable ferret named Phillipe for Jacques as well. At the time neither of us realized that Phillipe was a girl… ferret hoo hoo’s are pretty teensy and to be honest, I never looked. The pet store said she was a he and Phillipe lived a quasi-transgender life for her first year. Nothing wrong with that but the ferret tales are for another time. 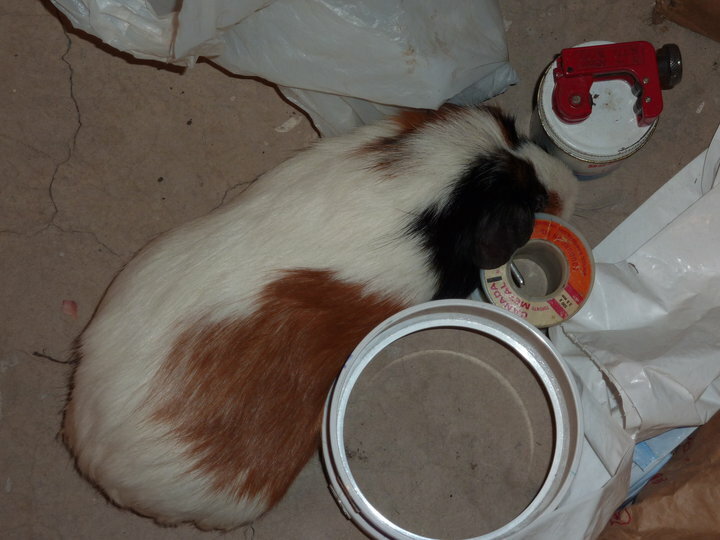 A couple of months later, Tres passed away so the obvious thing to do was get another companion guinea pig. These 2 were supposed to be sisters but they never once cuddled in all their years together. Nothing like Tres and Cadbury. 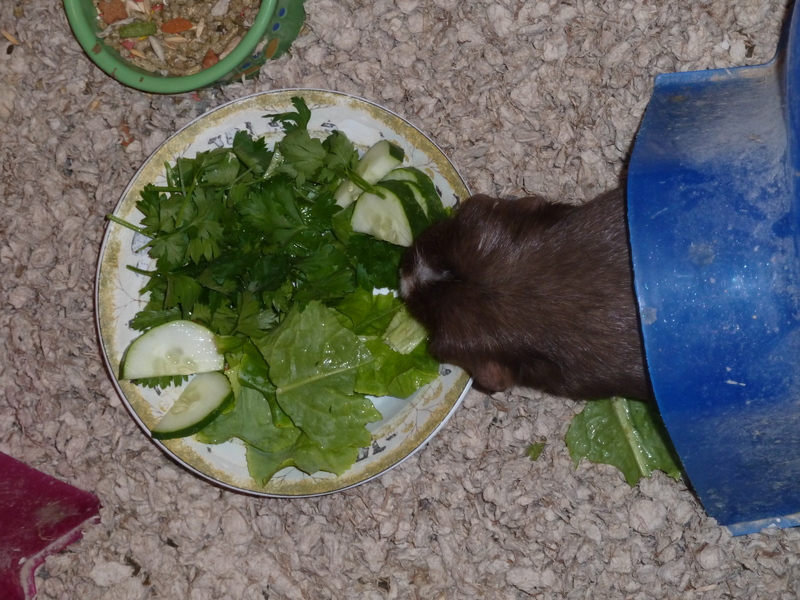 But they got their twice-daily fresh veggies: a bowl full of green leafy lettuce, celery, baby carrots, sliced cucumber, parsley and sometimes a grape. 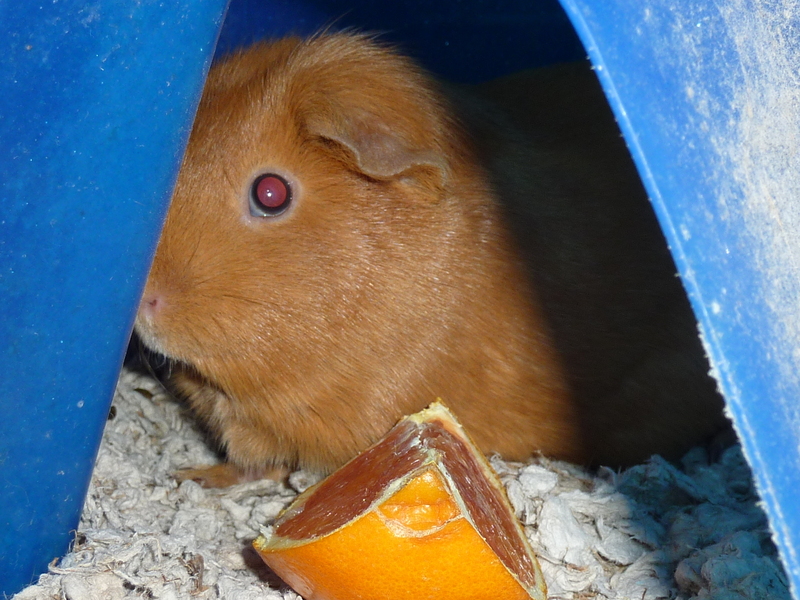 They got their orange slices because guinea pigs can’t synthesize vitamin C.
And despite the eyeball-incident (see One Eye Watching You, my blog from early May 2014), they got a lot of love and attention. Until “it” happened that cold Friday when I was in Ovando and Cowboy Claus’ pony was being naughty and Jessi’s dad was playing shoot-em-up in the gunfights and I saw former clients who bought my book and the stars aligned just right but for all the wrong reasons. 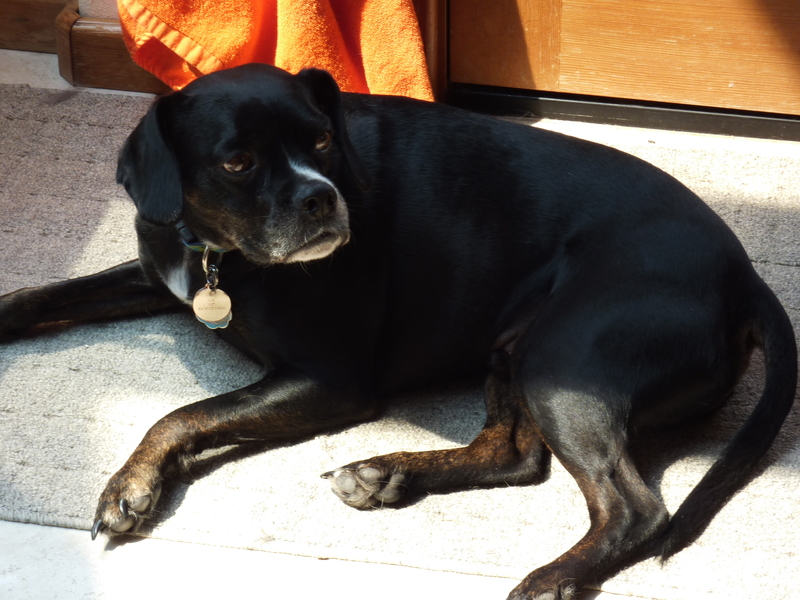 Who knew that our little mixed breed dog, UB, could open the ferret cage? 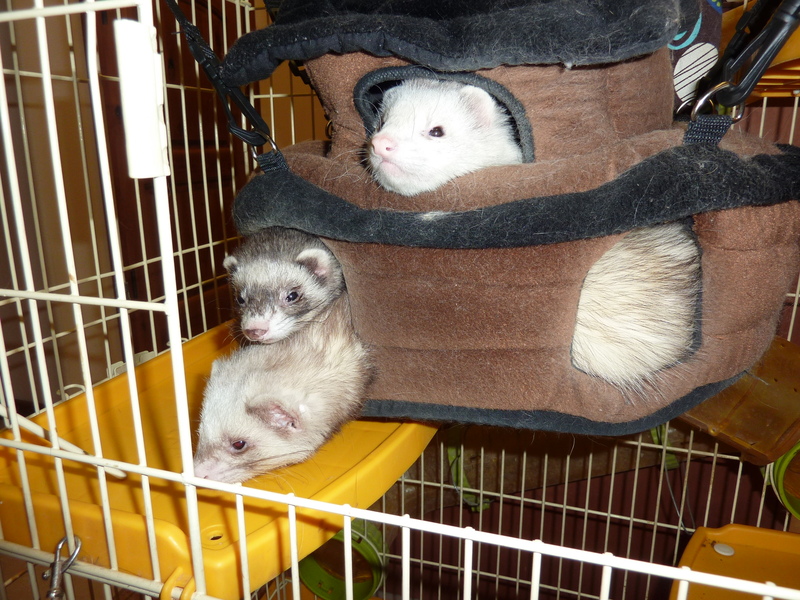 What followed once 2 of the ferrets got out will never be known. Well, UB, Phillipa and Luigi know what went down but we never will. The thing is, there were no wounds. 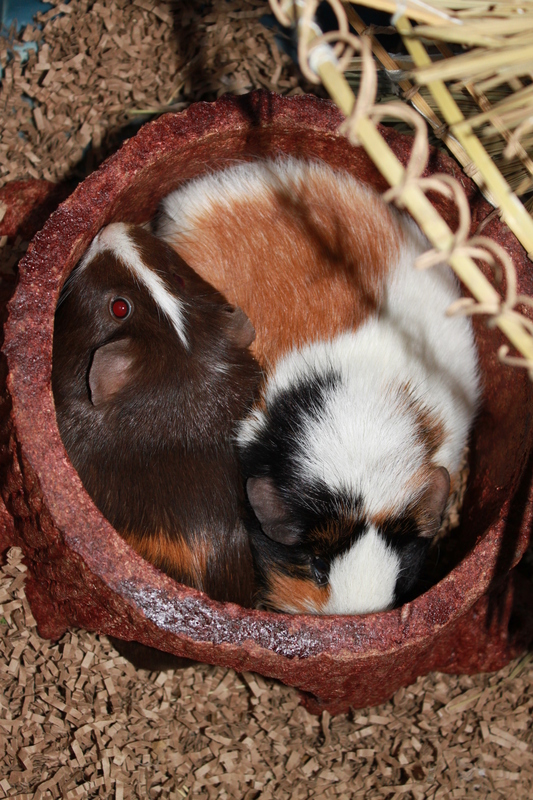 And no signs of life in our tubby, veggie-loving, whistling, scuttling, funny little guinea pigs. There were also no signs of battle on the ferrets so who knows if the piggies panicked and had massive heart attacks as the terrorists climbed into their pen? 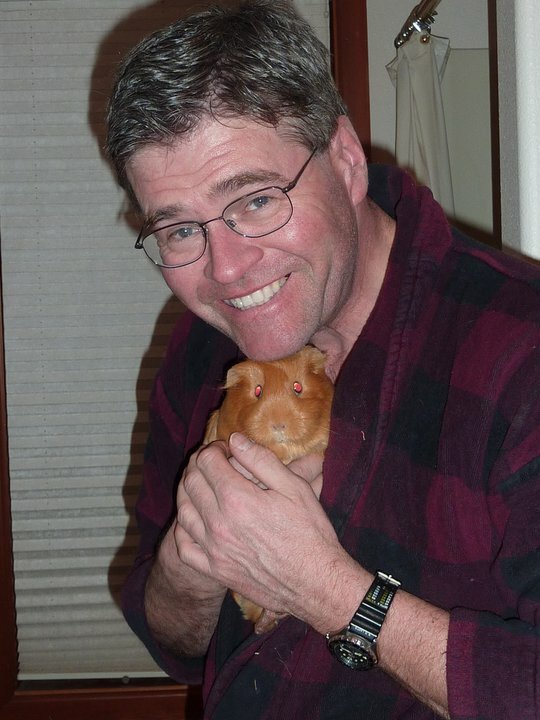 The guinea pigs were 5 years old. The irony in all of this is that Calypso was still asleep in the pirate ship. Bonjour. Did I miss something? The sole reason Cadbury had one eye had missed out on all of the action and never got to finish what he started. “It” happened and there isn’t a damned thing we can do about it. I’m not mad at UB. How could anyone be mad at this tender-hearted little soul? I’m not mad at the ferrets. I’m just sad and I miss my little friends who differentiated my walk from anyone else and would chirp, whistle and tweet whenever I came into the house. So “The Girls” are in the freezer with an assortment of friends we haven’t made the emotional time to say goodbye to. Who is one of the reasons I wanted to write a blog in the first place when I realized, exactly one year ago, that I couldn’t save them all. 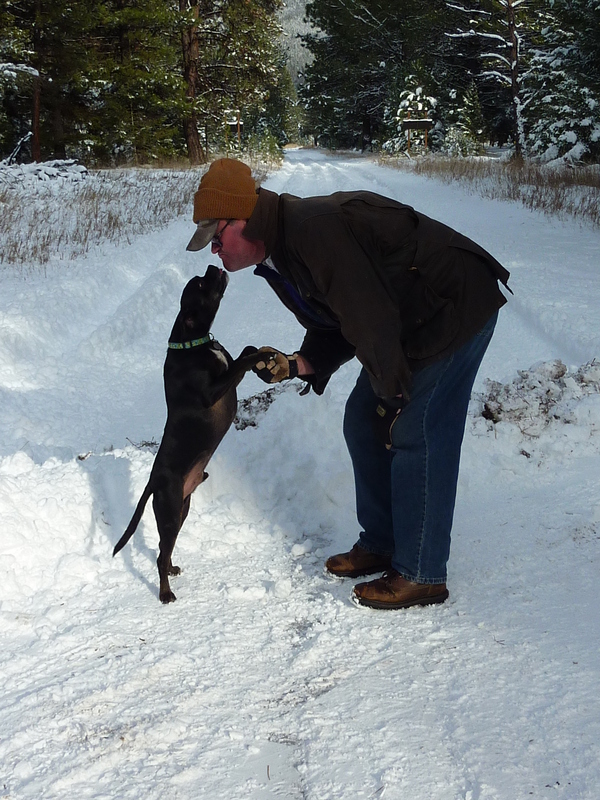 Not even my special furry friends who give as much love as they receive and who have been my companions for many years. Or maybe just 5 years in the case of “The Girls”. Not all of our goodbyes are well-planned in advance. Some are just pure accidents. Terribly tragic sequences of events that lead to an opened cage and a silent bathroom. I won’t get over “it”. I don’t plan to. I just have to move forward with the spirits who remain and the snow that keeps falling because that’s all I can do. 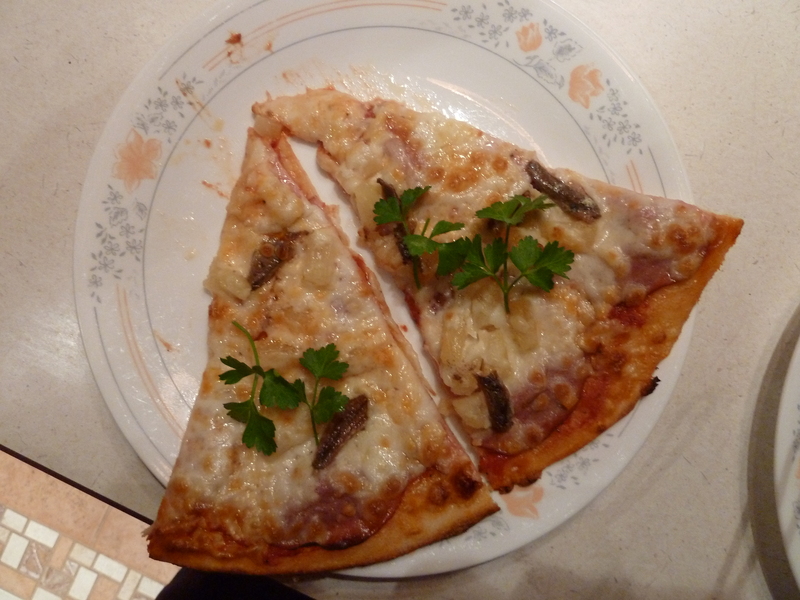 On a lighter note, we are finding plenty of uses for the leftover parsley. a work of art once you add parsley, right? That had to be a hard one to write but also good therapy, Tanya. 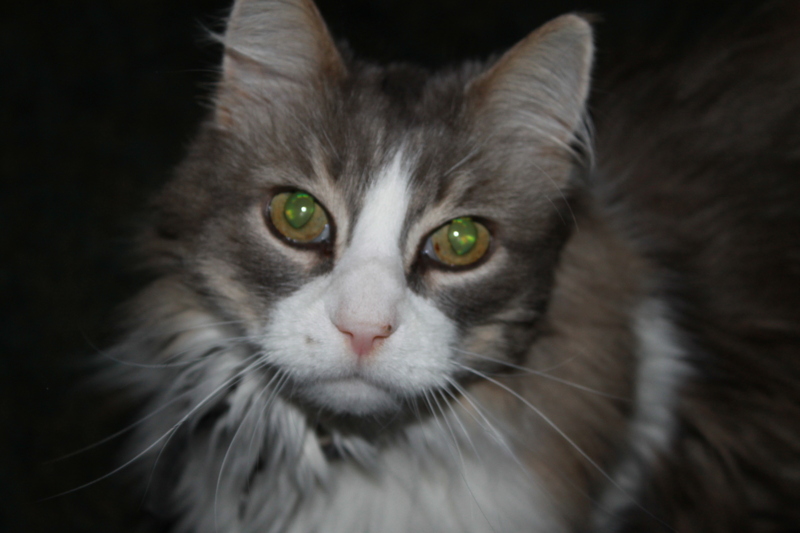 I know how much you love all your critters and how hard it has been for you. Just remember they had a fantastic life living in the Fyfe family. Hugs!! As usual I lot your blog posts. No one promised easy in life…Keep writing,enjoying,loving and sharing.Your attitude,humor and positive nature are reminders and inspiration to all.Have an enjoyable Christmas!